As-salamu alaykum. I hope you are doing well and congratulations on assuming office as the 22nd Prime Minister of Pakistan after a long struggle. The nation’s hopes are high for the Naya Pakistan you have promised, and I hope that people will finally see change in Pakistan. I am writing today to urge your action on an important topic that I believe is crucial to helping Pakistan learn from its past and move towards a new future. Since its inception, Pakistan has struggled to establish itself – both domestically and on the world stage. Pakistani political leaders and persons in power in the country have exploited and destroyed the nation, while themselves living in luxury and comfort. In order to change its destiny, Pakistan needs to follow the example of noble and selfless leaders like Allama Inayatullah Khan Al-Mashriqi (Founder of the Khaksar Tehrik). Mashriqi, who was my grandfather, was one of the most educated and accomplished leaders of his time. His book Tazkirah was nominated for the Nobel Prize in 1925 and he subsequently successfully mobilized millions of people to fight for freedom, until British rule came to an end in the Indian sub-continent (now Pakistan, India, Bangladesh) in 1947. Mashriqi’s hallmark was a selfless leadership that served the masses; he promoted brotherhood and rejected corruption in all forms. I have personally been conducting in-depth research on Mashriqi since 1996 in order to apprise the nation of his contributions and inspire others to learn from him. 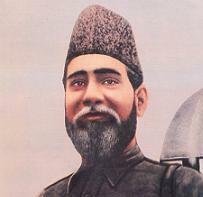 Despite all of Mashriqi’s contributions to the nation and his major role in obtaining freedom from the British Raj, Mashriqi has unfortunately been victimized in Pakistan because he disagreed with the founders and was opposed to the partition of India; as a consequence, Mashriqi’s accomplishments and works have been buried. It is time for Pakistan to rise above the colonial mindset, whereby only those leaders who the British considered champions of freedom, are highlighted. In a healthy democracy, political leaders should be encouraged to share opposing views and engage in vigorous debate. Why then should Mashriqi be victimized or suppressed simply because he voiced opposition to the division of India? He was simply advocating for what he felt was best for the people. Indeed, Pakistanis should be able to study Mashriqi’s thoughts and ideas to understand why he opposed partition and decide for themselves whether his point of view was valid or not. This type of debate and analytical thinking will help the nation to develop mature minds and a tolerant culture, both of which are important for the country’s future growth. As I am sure you will agree, censoring history does an incredible disservice to Pakistan, its people, and the nation’s ability to learn from the past. It is time to bring an end to orthodoxy and the status-quo and usher in a Naya Pakistan in all spheres of life. I request that you issue an order to declassify the documents related to Allama Mashriqi and the Khaksar Tehrik, which were confiscated both before and after partition. I also urge the creation of a dedicated research institute to research Mashriqi, translate his works into English and other languages, and incorporate his contributions into the educational syllabus. Taking the actions outlined above would send a powerful message to the world that Pakistan is a nation that encourages original thinking, freedom of speech, and open debate. Indeed, this would be a first step towards a new era of transparency and public discourse as the nation moves toward a Naya Pakistan. I wish you all the best in changing the destiny of the people for the better.